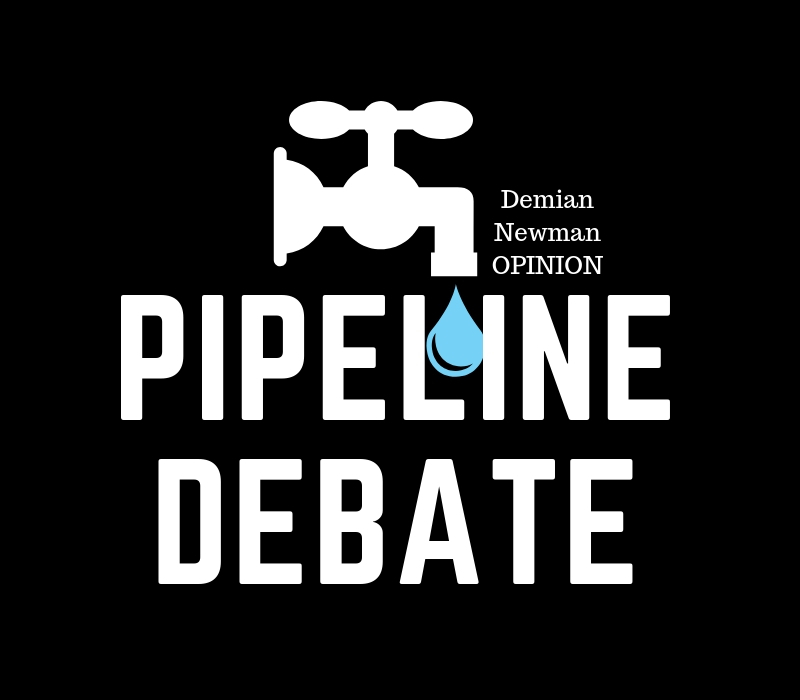 We give a lot of credit to Demian Newman in his ongoing attempts to bring reasonable discussion to the pipeline debate. In this most recent opinion piece, he links to a lot of different sources of information to support his argument. Take the time to read this article as well as the opposing POV written by Mike Sawyer, linked at the end of this story. In my original Open Letter, I had a very simple and basic premise; I do not believe shutting down Canada’s oil and gas industry will help the environment or climate change. In fact, I wholeheartedly believe it would have the adverse effect. Over 200,000 people have read my opinion piece, and a lot have left very positive comments. But there have also been some opposing viewpoints. Which is good, because I wanted to start a conversation. With that in mind, I have summarized all the opposing comments below, with a response to each (minus the personal attacks…which I quickly dismissed). Before we dive into all the comments concerned with my original letter, I would just like to summarize again; that Canada’s oil and gas industry putting up an OUT OF BUSINESS sign today, will not help Canada, or the planet, on any environmental level. Because, 1) you (and I), will not change our energy consumption. 2) that energy will simply be provided by another country, which does not have the same environmental regulations and standards to extract and sell their natural resources as Canada does. If you’re protesting Canada’s industry because you’re fighting climate change, then I need to remind you that this is a worldwide issue, not a just a Canadian one. So, if that’s your intention, then you need to use your efforts to make worldwide change. Not just suffocate Canada’s industry. If you’re already getting fired up that I’m not getting to the Q&A conversation, I promise I heard them all. But I don’t think a lot of people heard me before commenting on my first letter. And a lot of those voices were coming from a city that I absolutely love, but is obviously on a very different page regarding Canada’s oil and gas industry than me. So, to my friends in Vancouver; I should’ve focused a bit more on the project which has been such a bone of contention for you – The Trans Mountain Pipeline Expansion. And I’m not going dive that deep into this, as again, the basis of this letter was a conversation with everyone from my first letter. But I would be remiss if I didn’t bring up that your former Mayor, Greg Robertson was vehemently opposed to a Canadian pipeline (the TMX), but last June signed a $150M pipeline deal to get the ever-expanding Vancouver airport jet fuel – from the state of Washington. This is the part where I’m left scratching my head again, as Mr. Robertson fights against a Canadian pipeline, saying “it’s not worth the risk. In fact, it’s not in Canada’s interest”. How is a pipeline from the state of Washington, instead of Canada, in Canada’s best interest? I’d dive into the hypocrisy of Mr. Robertson blasting Canada’s oil and gas industry, by saying that the TMX would put “people and the environment are at risk”, but a pipeline direct to the Vancouver airport from the state of Washington, is apparently no issue. However, I will refrain, as I like to travel. And though commercial airline travel certainly isn’t the best for the environment, I do believe that Canada’s airlines/airports are doing everything to be a world leader in reducing their environmental footprint – because I’d expect nothing less of a Canadian industry. To use an analogy, I didn’t have a chance to in my first letter; I do believe Canadians protesting Canada’s oil and gas industry would be the equivalent of Canadians boycotting Westjet and Air Canada, but still going on the same holidays – just using international airlines instead. This idea is obviously ridiculous, as no one could believe this would help the environment on any level. But then there are protesters all over the Trans Mountain Pipeline Expansion, but not one to be found fighting against the 4000 tankers bringing imported oil to Canada each year. Again, it’s head scratching. I do think to understand why it’s happening, we need to have a cross-Canada conversation. I received a lot of similar comments, that there’s no point in investing in a dying industry with no future. If you’re referring to no future based on worldwide oil reserves? The math on “Proven Reserves” is pretty straight forward, and everything you look up has it at 50ish years. This is based on today’s technology, and when you consider how far technology has come in the past 10–15yrs the opinions get pretty varied on how long the 50 years extends into. As this technology makes producing the “Probable Reserves” and “Possible Reserves” more likely by the day. Without getting pulled down on this, I hope we can agree that fossil fuels aren’t running out any time soon – but aren’t a “forever solution”. So, we do need to find energy from multiple sources. It’s not a dying industry, it’s a dead industry. It’s the Model-T to the horse and buggy, Netlfix to Blockbuster video, or the Internet to traditional media. I’m sorry, but if fossil fuel energy was a dead industry – then it’d be dead. But absolutely every economist is saying that fossil fuel consumption will continue to increase worldwide each year. I don’t have to copy a link for this, as you can find Google results by the hundreds for factual data. And it’s not hopeful data, but factual based estimates which provide information that every country, Fortune 500 company, bank, etc is listening too, while investing for the future. At the bottom there is a link to an Energy Minute video, which does a great job explaining that the decrease in oil used by Canada between now and 2040 is more than offset by the increase use from developing nations. I’ve also again added Chris Slubicki’s video link (below) to this, as there’s a big portion of his presentation that explains this (and everything) much better than I ever could. A lot of people asked for proof that Canada is a world leader in oil and gas environmental standards. The one thing I realized after my original letter, is that I’ve done a terrible job archiving everything I’ve read/watched/heard over the years, which drove the opinion for my first letter. So, if I could ask anyone for the stats on Canada versus the world on environmental standards in this industry, that’d be great. I know I’ve read hundreds of positive articles over the years (maybe more). However, I have included the very public list of oil producing countries flaring gas in a link below (billions of cubic meters of gas which releases CO2 into the atmosphere). Canada ranks 22nd for the gas our industry emits (typically methane, ethane, butane, propane and hydrogen sulfide). I’m reading that as extremely positive, since we’re 7th in oil production over that time (2013-2017). Our 1.3 bcms pales in comparison to Russia (19.9) Iraq (17.8), Iran (17.7), or the USA (9.5). And don’t get me started on Nigeria who flared 7.6 bcms, which is more than 5 times the gas Canada flares, even though we produce almost twice as much oil. I also included another link below of an interesting article this past month, where we have the least political corruption of any country involved in the oil and gas industry. Which is kind of funny, as I don’t think any Canadian would be surprised by that. Even though I didn’t mention the TMX pipeline in my original letter, I had numerous people say they were for Energy East and BC LNG, but dead-set against TMX – because of the certainty (as in absolute certainty) that there will be a tanker spill in the Vancouver harbor. And it could threaten the Orca population. I agree. It might surprise people (but I really hope it doesn’t) that I also don’t want an oil tanker spill, nor do I want those tankers to endanger a single killer whale. And now that the feds bought TMX last summer (which is a whole other letter for another day), and EVERY CANADIAN is officially a pipeline company owner, I do think we should take these concerns seriously. Current info will tell you that the TMX being built would increase tanker traffic off the coast of BC by 6.6.%. Certainly not a huge percentage. I also understand that any increase needs to be measured against its environmental impact. The National Energy Board (NEB) just came out last Friday, that they want the creation of the marine mammal protection program in response to the TMX. So, it’s good to see the NEB doing its job as a 3rd party nonpartisan review board on international and inter-provincial aspects of the oil, gas industry – which certainly doesn’t need to be removed as per bill C-69 (again, another topic for another letter). Also, for the spills, I did see the plans for the (I believe quadrupled) emergency response program for tanker issues, because of the 6.6% additional TMX tanker traffic. Which was followed up with how incredibly unlikely an event like this would be, as the tankers are handled with tug boats until they hit open water. What is easily accessible on Google are the stats on tanker spills (below). Worldwide it’s been 2 large tanker spills (700+ tonnes) since 2010. I also believe that two is, two too many – which is why I believe the Canadian industry will add a ton of safeguards over and above worldwide standards (like they do with their pipelines). Speaking of, there is still nowhere near the Canada wide education on pipelines and the Canadian environmental standards for safe construction and maintenance of them. As somehow a record of 99.9995% pipelines with zero issues in Canada isn’t good enough. Neither is the fact that Canadian pipelines rate of spills were 57 per cent lower than in Europe and 60 per cent lower than in the United States over the past decade. I understand that it should be 100%. But honestly, what is? Many in BC are upset as they are viewed as a mere obstacle for Alberta to get their oil to market. When Alberta gains all the benefit financially. Federal and provincial governments will see $46.7 billion in additional taxes and royalties from construction and 20 years of operation. At the point, where a CANADIAN OWNED pipeline is making Canada billions, why as a Canadian who wants green energy vs fossil fuels, wouldn’t you demand your current government use that money to research and develop this green/clean tech. Seems like a win-win…with some compromises. But every reasonable solution requires compromise. The romance of the electric car saving everything. And there are a lot of Canadians with this idea. I can’t underscore my confusion on how the electric car has been so romanticized. I completely understand the low emission side of the argument. But I’m shocked at how many people stop there, as if the electric car is “an environmental mic drop moment”, and don’t look any further. I think the video on the Energy Minute website does a fantastic job of both the pros and cons of the electric car (link below). But I also couldn’t help but include a link regarding on of the concerns on the batteries (also below). Not super surprising that I received lots of anti Oilsands “tarsands” “dirtyoil” comments, where Fort Mac got slammed pretty hard. I included a few examples in my original letter about Oilsands GHG emissions dropping 29% since 2000 and a barrel of oil from there being a smaller carbon footprint than that of a barrel from California. But it fell on deaf ears. So, this part of my letter isn’t for those you oppose the Oilsands, but instead is for those companies working in Canada’s Oilsands. It’s time to spend millions on a cross-Canada public relations campaign for this industry. And don’t tell Canadians how many jobs it creates. Cause I’ve heard from Canadians – and they don’t care. 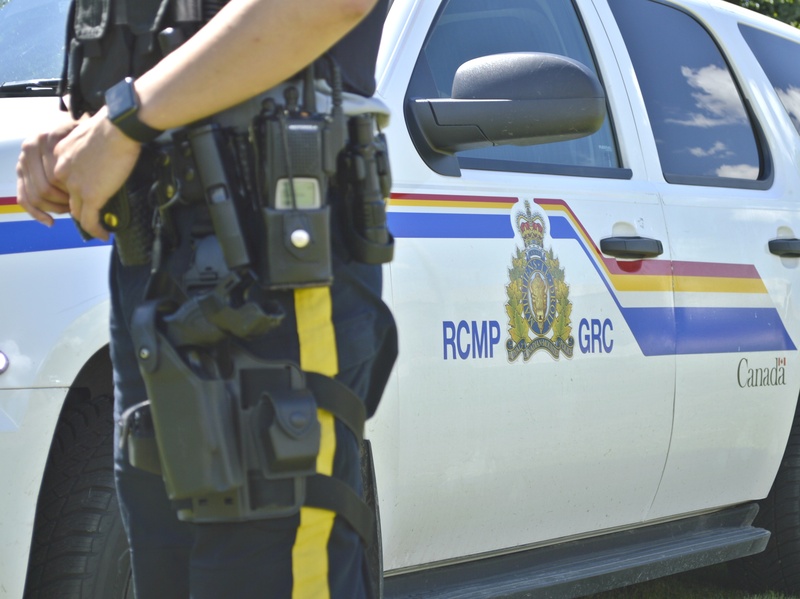 Its time promote the thousands of real stories, where Canadian oil and gas projects cost so much more because of the extra time and effort needed to do them in the safest and most environmentally responsible way possible. Show Canadians what Fort Mac was before; unusable farmland with oil literally bubbling up through the ground. Show them what I’ve seen, that the reclamation efforts after the oil is extracted and the area is returned to a lush green forested area, where people would be shocked that oil and gas wells used to be there. Perhaps we also need to get Canadians angry, and show them how they’ve been manipulated by groups like The Rockefeller group (article below) to demonize the Canadian Oilsands for their financial benefit. Who cares if protesters are paid? Doesn’t mean they don’t believe in their cause. I feel really bad that there are Canadians who’ve spent an enormous amount of time and effort at these protests and rallies, thinking they were trying to benefit the world. When they were actually helping line the pockets of billionaires. It makes me angry. I hope they all look into it. And it makes them angry. Protesting a Canadian pipeline based on saving the environment, probably wasn’t funded by environment loving humanitarians. But instead funded by a corporation with this in their Corporate Guidance: From the very beginning, the campaign strategy was to land-lock the tar sands so their crude could not reach the international market where it could fetch a high price per barrel. This meant national and grassroots organizing to block all proposed pipelines (taken from the Vivian Krause interview link below). 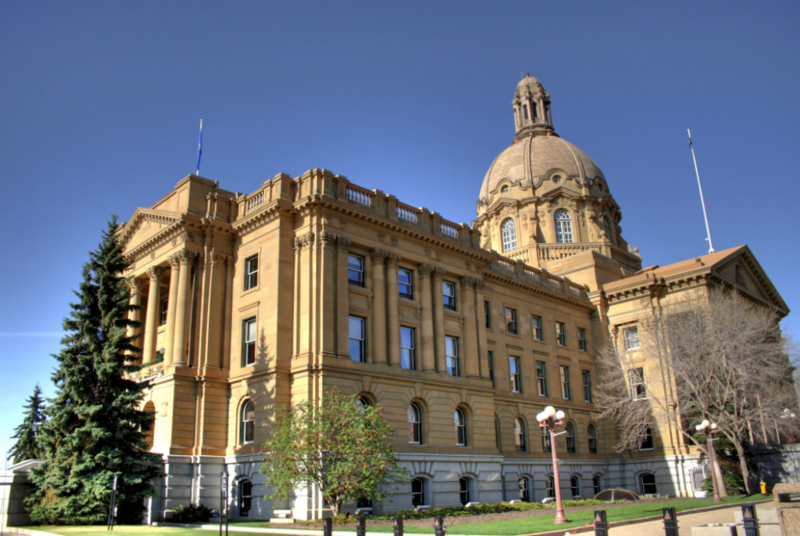 That I’m a millionaire lobbyist for Canada’s Oil and Gas industry. I wish! That sounds fantastic! But alas, I’m just your run of the mill sales guy. I absolutely benefit financially from a booming oil and gas industry. And I was frustrated by this downturn hitting me financially, but not enough to type out these massive rants. These are 100% based on Canadians working together for an oil and gas industry we should all be proud of; as the best, safest, and most environmentally friendly in the world. As anything less would be un-Canadian. Again, I’m Demian Newman. And I’m shocked so many people read my last rant. And even more so, if you made it through this epically long one. Here is a link to a story that includes Demian’s first Open Letter, and a response from Mike Sawyer.